Almost 10.000 Senegalese migrants crossed the Mediterranean Sea in 2016 to come to Europe. Senegal is one the hotspots for migration in Africa. That’s why Germany and the European Union have launched aid programs and are investing millions to counter the causes of migration and yet it's still unclear what effects this will have. Marc Dugge reports from Dakar. Massaer Guevye knows what hopelessness feels like. Knowing that things won’t turn our for the better made him feel empty and longing for a better life. Gueve is now in his mid 30s and is a certified blacksmith in Senegal’s capital Dakar. Many years ago, he specialized in manufacturing small, energy-efficient cooking stoves. Even though he was talented at his craft, business had been bad from the start. That’s why ten years ago, he took a major decision. “Life had become hell”, he says. “I was ready to give up everything and risk migrating illegally.” He tried to reach Spain by boat twice. He failed both times. One time his boat got into distress at sea near Mauritania and he lost some of his fellow passengers. 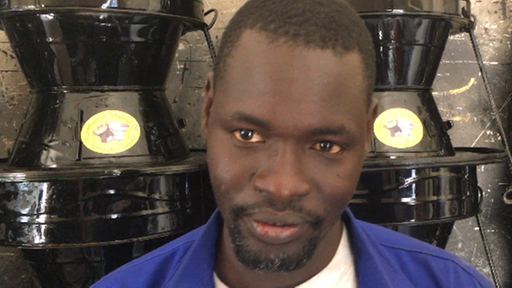 He himself survived – and he was in luck: development aid workers in Dakar wanted to distribute his stoves as an energy-saving cooking alternative. The German Development Agency GIZ helped him set up his own business through consultancy and loans. Today his business is going really well and Gueye has 21 employees. Friederike von Stieglitz heads the GIZ office in Senegal. Standing next to Gueye, she smiles. His cooking-stove venture has been around for years. Recently, there has been a rising interest in other projects as well that can offer perspectives to people at home. “Fighting the root causes of migration”, that’s currently a buzzword in German development aid policy. 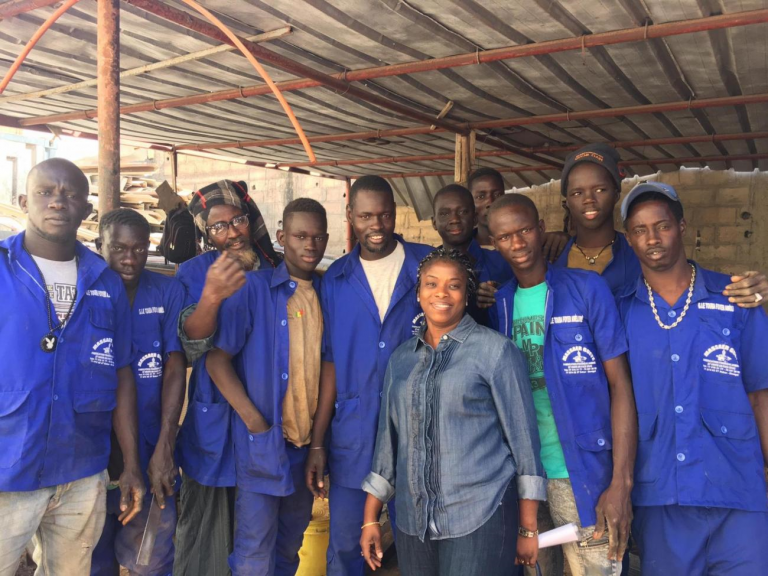 Jobs can be brought to tens of thousands of young people as GIZ wants to open four more offices in remote parts of Senegal where many migrants come from. The strategy for this, however, still appears to be rather lofty. There’s talk of “new job profiles”, “multi-generational-dialogue” and “joint change-making projects”. „Successful in Senegal“ is costing the German government nine million Euros. Should the project lead to the expected outcomes, more funds would be allocated towards it. The German government is not the only player investing in employment opportunities. The EU also launched two programmes aimed at improving people’s lives and creating jobs. Financed out of the fund for emergency aid in Africa, the EU is investing 60 millions to keep citizens in the country. Bredeloup does not believe that development aid can change this and many migration researchers are similarly skeptical. Yet one thing is for sure: The cooperation with Europe has bestowed Senegal a vast amount of financial aid. During the interview, Sall was just about to speak the word „chantage“, which means blackmailing. He is under pressure from outside as well as from inside the country. But so is the EU, as millions of taxes are now being invested into a cause whose outcome is unclear.